David Palmer released his latest painting on bullet casings just in time for Independence Day. 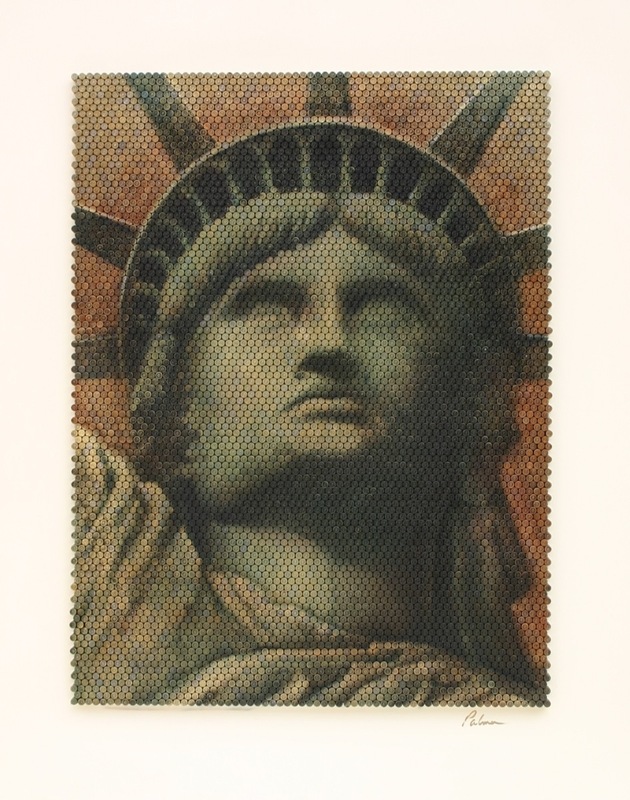 “American Legacy” juxtaposes the iconic symbol of our liberty against that of which was used to achieve and defend it. It highlights the significance of arms in America, both historically and currently, militarily and individually, for better or worse. This artwork is less of a political statement and more of a dialogue. In reverence to Liberty, it acknowledges the necessity of arms to defend her, while questioning the many military actions waged in her name. It celebrates the individuals’ right to bear arms, as established in the U.S. Constitution, yet mourns the deadly consequences and daily abuses of this right. Liberty and arms, undeniably woven into the fabric of this nation. This is an “American Legacy”.